Silidea, founded in 2006, is a company specialized in the design, industrialization and production of electronic and electromechanical devices with the aim of providing a complete service to the customer. The main objective of the company is the technological innovation, working with the criteria that maximize efficiency and allow you to have a structure that maximizes flexibility. Design and simulate analog, digital and power directed to the industrial and automotive. Creation of Master PCB in 3D with the software package Altium, our partner. Giuseppe Legnaro founder of Silidea, born in 1966, technical diploma, degree in Electronic Engineering from the University of Bologna, specializing in mechatronics and dissertations on the attitude control of an aircraft through the use of sensors. He attended the 76 course of the Technical Corps of Engineers Army and was assigned to the Military Establishment of Broadcasting in Rome dealing with high power transmissions; was demobilized with the rank of Lieutenant. In 1994 he began his professional career in electronic design developing products related to heating and air conditioning, so in the automotive industry. It was later occupied by rechargeable batteries and battery chargers filing of patents on intelligent charging. In 2006 he founded Silidea S.r.l. and to this day he holds the office of president. 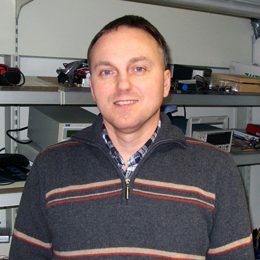 Stefano Franco, class of 1983, technical diploma, degree in Electronic Engineering from the University of Ferrara, with a specialization in digital electronics and power and dissertation on the creation of a buck converter DC / DC UPS. 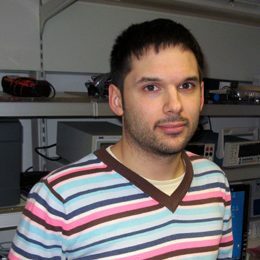 In 2010 he started his professional career in electronic design developing products related to the field of battery packs developing “intelligent” algorithms for the control of cell rechargeable lithium batteries. He is specializes in developing software interface between electronics and PC. He currently holds the position of Chief Technology Research and Innovation.